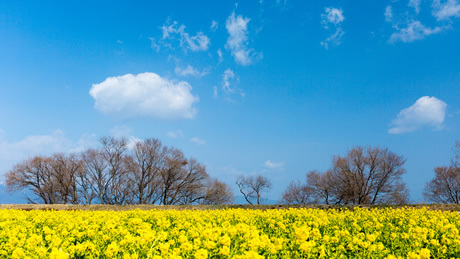 Whether you're a beginner or a serious athlete, Japan has quite a few cycling roads and courses perfect for you--from pleasure cruises to challenging uphill climbs, all feature spectacular scenery and hidden charms you can only discover on a bicycle. 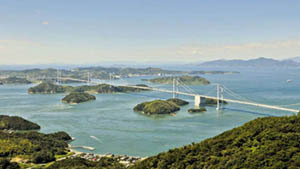 The 70-kilometer long Setouchi Shimanami Kaido includes Japan's first strait-traversing cycling road, well known as a “cyclist's paradise.” The Imabari portion of Shimanami Kaido comes in at number one, serving as a base for the cyclists attempting the cycling road from the island of Shikoku. 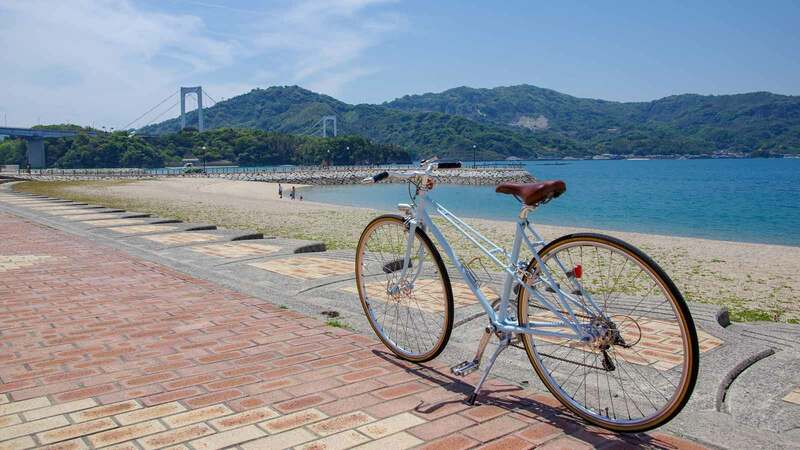 With 14 rent-cycle terminals, at which cyclists can freely rent or drop off bikes, along the route from Hiroshima and Onomichi to Imabari, it is the ideal course for a cycling trip. 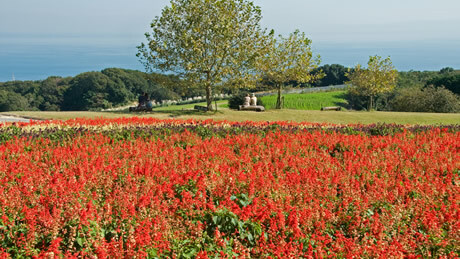 In 2nd place is Awaji Island, where cyclists can enjoy beautiful scenery from the island's coast-hugging roads. The locally-available Awaji Island Cycling Map introduces courses that will satisfy everyone from beginners to top riders with a variety several circuit courses that are designed to suit a variety of levels and objectives. Why not challenge yourself with these popular cycling courses, where your choices include cycling the roughly 150 km circuit in one day, or taking your time by staying the night and cycling for two days? 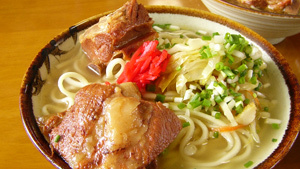 The Fukuyama/Onomichi area on the Hiroshima side of the Setouchi Shimanami Kaido ranks in 4th place. 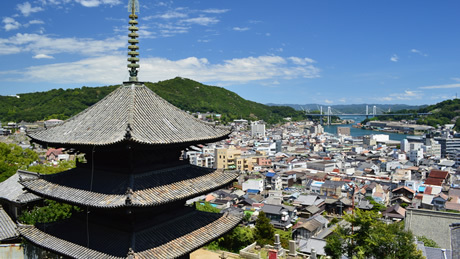 It's quite popular with travelers interested in sightseeing, as cyclists can blithely cycle the Shimanami Kaido with rented bicycles while simultaneously enjoying the tourist attractions of Onomichi. 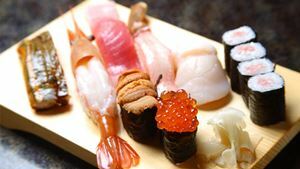 The area is also home to “ONOMICHI U2,” a chic and stylish complex geared toward cyclists where they can stay in the connected hotel with their bicycles, making it the perfect base for a bike trip. Coming in 5th place is a region known by locals as "Koto," meaning "East of the Lake"--that lake being beautiful Lake Biwa. Popular for cycling with its refreshing lakeside breezes, many cyclists use the area as a starting point for cycling tours around the lake. 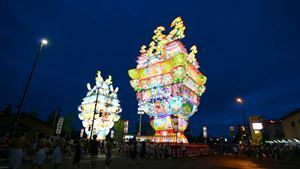 Koto makes up a roughly 200 km circuit around Lake Biwa with well-maintained roads along the shore, making the route easy and enjoyable to ride. 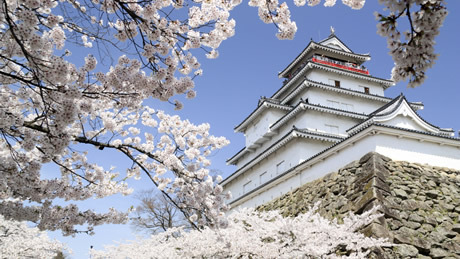 In 6th place is an area known at the home of the Okawa-Kitakata Cycling Road, a roughly 49 km-long bike path that runs from Aizuwakamatsu to Kitakata along the northward-flowing Okawa river in the Aizu region of Fukushima Prefecture. 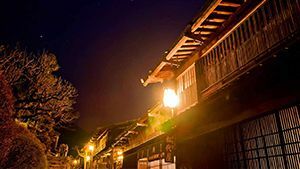 As the area and its surroundings are a national tourist destination with numerous attractions and historic sites, cyclists can make good progress on well-maintained roads while enjoying the scenery, which includes Aizu's castle town and the beautiful Mt. Bandai. 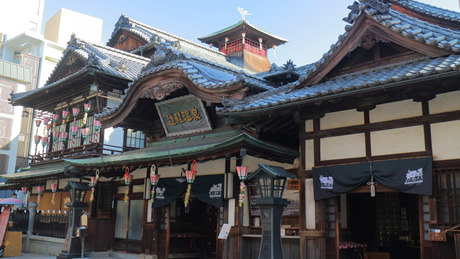 The roughly 46 km-long Matsuyama-Imabari Course that runs east-west along the seashore from Imabari station, which also serves as the Shikoku-side base for the Shimanami Kaido, to the famous hot spring resort town, Dogo Onsen, is popular as a cycling route. In order to improve cycling safety, an environment is being created in which cycling can be enjoyed within the entire area, through measures such as establishing blue lines that act as markers. 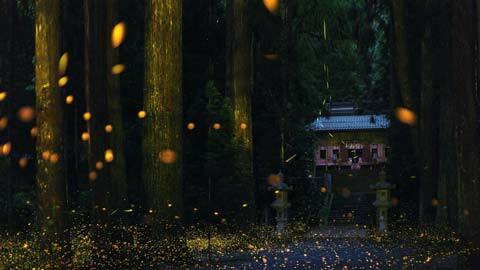 Why not make your way to the Dogo area and slowly rest your tired body in a relaxing hot spring after spending the day cycling? 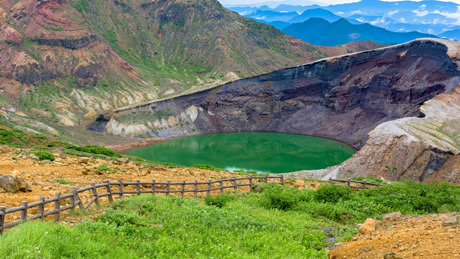 In 8th place is the area that is home to the Zao Eco Line, a mountain road that runs east-west across the Zao mountain range and connects the prefectures of Miyagi and Yamagata. 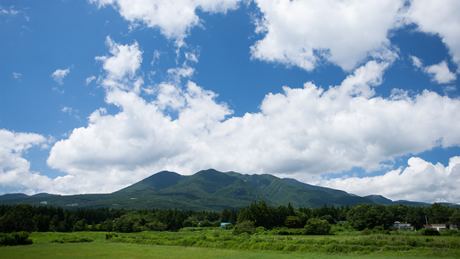 Although the route is closed during winter from early November, there are enormous walls of snow from late April to mid-May to stare at with awe, fresh greenery with abundant negative ions in the summer, and brilliant red and yellow autumn leaves from late September that can be admired and enjoyed while cycling this uphill course. 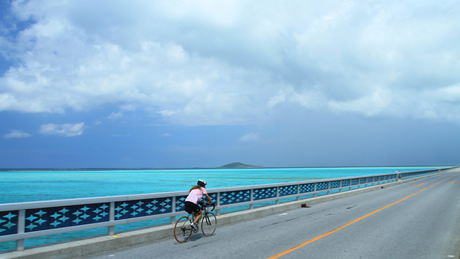 Coming in 9th are Miyakojima and Irabushima Islands, in which the beauty of the sea and the surrounding nature can be enjoyed by bicycle. 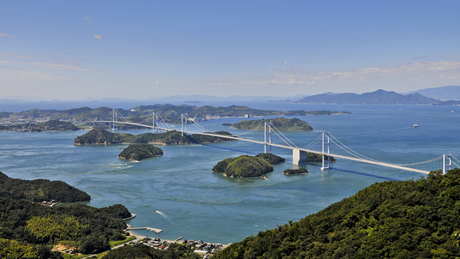 Since the January 2015 opening of Japan's longest bridge, the area has been attracting a lot of attention, as it is now possible to traverse the 3,540 meters between the islands at no charge. Here, you can experience charms that can only be discovered on a bicycle--such as hidden cafes or relatively unknown yet spectacular beaches. 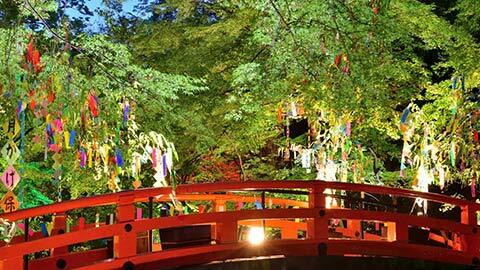 In 10th place comes an area in which cycling can be enjoyed while admiring the abundant flow of the Sagamigawa River. 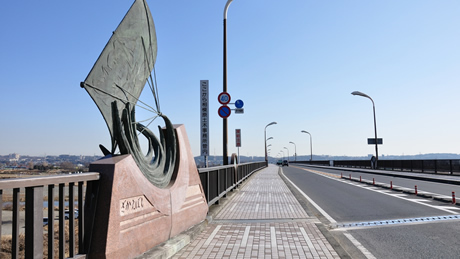 With maintenance plans in place for the Sagami Green Line, a 21 km-long cycling path that runs from Zakaebashi (in Atsugi) to Hiratsuka's Sengoku coast, progress is being made on the area's development as a cycling destination.